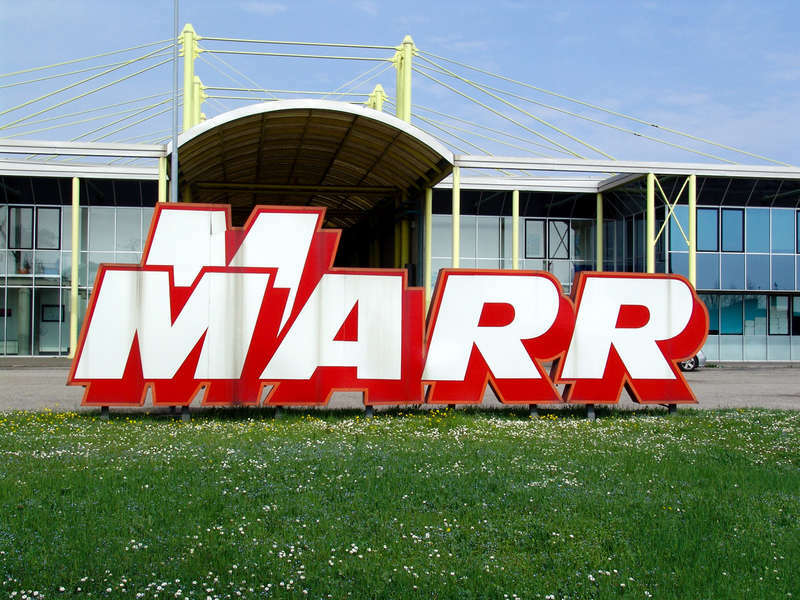 The Board of Directors of MARR S.p.A. (Milan: MARR.MI), the leading company in Italy in the distribution of food products to foodservice, today approved the interim report as at 30 September 2017. The total consolidated revenues in the third quarter amounted to 494.5 million Euros, an increase compared to 481.7 million in 2016. The operating profits also increased, with EBITDA of 44.0 million Euros (43.1 million in 2016) and EBIT of 38.6 million (37.8 million in 2016). 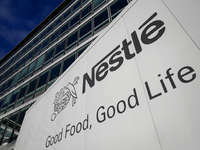 The net profits of the period amounted to 26.6 million Euros, an improvement compared to 24.5 million in the third quarter of 2016, which included 0.5 million Euros in non-recurrent costs for the reorganisation of the DE.AL. business activities, which as of 1 October 2016 is managed through the MARR Adriatico distribution center (Pescara). The total consolidated revenues for the first nine months amounted to 1,263.1 million Euros, compared to 1,204.5 million Euros in 2016. In the first nine months of 2017 EBITDA reached 94.8 million Euros (92.6 million in 2016), while EBIT was 80.3 million (79.3 million in 2016). Consolidated Net Income for the first nine months amounted to 53.9 million Euros, an increase compared to 50.0 million in 2016, also thanks to the decrease of the tax charges due to the reduction in the IRES taxation. The trade net working capital as at 30 September 2017 amounted to 204.4 million Euros, a reduction, despite the increase in revenues, compared 212.6 million Euros as at 30 September 2016. The net financial debt at the end of the period amounted to 168.6 million Euros (170.6 million as at 30 September 2016), decreasing compared to 209.0 million as at 30 June 2017. The consolidated net equity as at 30 September 2017 was 293.1 million Euros, compared to 277.7 million as at 30 September 2016. The sales of the MARR Group in the first nine months of 2017 amounted to 1,240.2 million Euros (1,184.5 million in 2016), while those for the third quarter reached 485.0 million Euros (473.1 million in 2016). Specifically, the sales to the “Street Market” and “National Account” categories as at 30 September 2017 amounted to 1,042.2 million Euros (991.4 million in 2016), of which 417.8 million Euros in the third quarter (405.4 million in 2016). In the main “Street Market” category (restaurants and hotels not belonging to Groups or Chains), sales in the first nine months amounted to 831.5 million Euros (781.5 million in 2016), with a contribution of 16.2 million Euros due to the acquisitions of DE.AL. (4 April 2016) and Speca (effective from 1 January 2017); while sales in the third quarter amounted to 349.8 million Euros (338.4 million in 2016) and benefitted for 3.7 million Euros from the Speca contribution. The performance of the reference end market of customers in the Street Market category, on the basis of the most recent survey by the Confcommercio Studies Office (ICC no. 10, November 2017) showed an increase in consumption (by quantity) of +3.2% for the item “Hotels, meals and out-of-home food consumption” in the third quarter. Sales to clients in the “National Account” category (operators in Canteens and Chains and Groups) as at 30 September 2017 amounted to 210.7 million Euros (209.9 million in 2016), with 68.0 million Euros in the third quarter compared to 66.9 million in the same period in 2016. Sales to customers in the “Wholesale” category in the first nine months of 2017 amounted to 198.0 million Euros (193.1 million in 2016), with 67.1 million in the third quarter (67.8 million for the same period in 2016). The positive trend in sales in October has put the revenues from the first ten months in line with the growth objectives for the year. Marr(Cremonini Group), listed on the STAR segment of the Italian Stock Exchange, is the leading Italian company in the specialised distribution of food products to the foodservice and is controlled by Cremonini S.p.A.. With an organisation comprising more than 800 technical sales agents, MARR serves over 40,000 customers (mainly restaurants, hotels, pizza restaurants, holiday resorts and canteens), with an offer that includes over 10,000 food products, including seafood, meat, various food products and fruit and vegetables. The company operates nationwide through a logistical-distribution network composed of 34 distribution centres, 5 cash & carry, 4 agents with warehouses and over 700 vehicles.